It has to be said that when I woke up this morning, to the dulcet tones of my one and a half year old nephew (Seb) as he announced he was definitely ready to get up, my legs and particularly knees were a little sore. Undeterred I staggered to the shower and then downstairs for breakfast, where I was ably assisted by aforesaid nephew who seems to have developed a liking for throwing things on the floor. He helped, sort of, and bacon plus eggs were duly consumed in preparation for the return leg to Norwich, something I was a little concerned about given the forecast for heavy rain. Many thanks to Will, Louisa and Seb for putting me up for the night. Setting off at 09.30, a slightly later start than yesterday, I cycled from Great Cambourne to Cambridge, a picturesque route through some expensive looking villages, passing quite a few ‘mamils’ on equally expensive looking road bikes out for a Sunday ride, going in the other direction; nods and greetings were duly exchanged as we crossed paths – cycling appears to be quite civilised in that regard. After running the gauntlet slightly through Cambridge, but avoiding any incidents, I moved North through Swaffham Bulbeck, then up to Mildenhall, and eventually Watton avoiding the A11 today; my Garmin decided it wasn’t going to re-jig my route and throw me on a busy road. My route took me through farmland and forest, a lot more forest than yesterday which was a peaceful and relaxing. At times it felt like a Lord of the Rings set and I was expecting Elves or Hobbits to appear. I’d have preferred Hobbits as that could have meant second breakfast, something which would have been greatly appreciated given it felt a lot colder today, but alas they were obviously hiding, thinking I was some kind of dark rider. After munching on a few cereal bars en-route my first real stop was in Watton after around 60 miles pedalling, although some of that was at quite slow speeds given hills, the dropping temperature, and wind gusting at times. I was still pleasantly surprised not to have had to stop sooner. 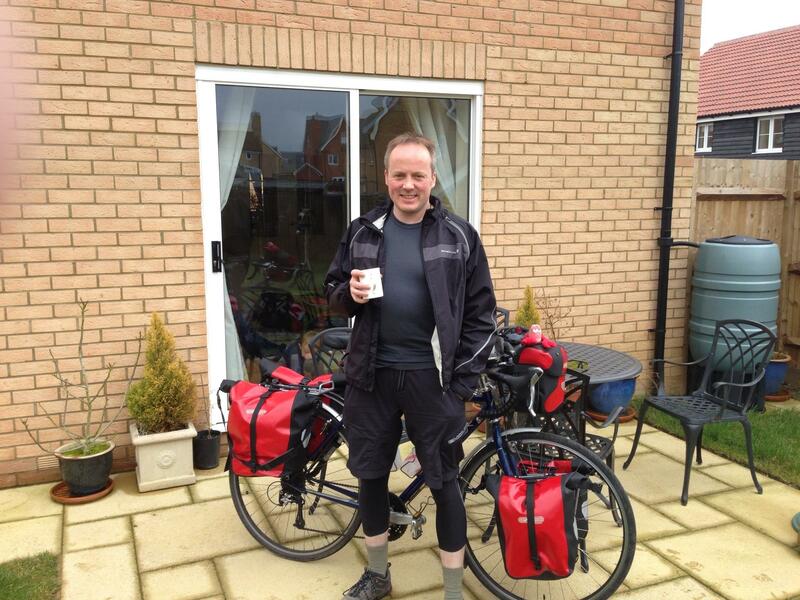 From Watton to Norwich was a ‘casual’ 20 miles through more countryside, before getting home. 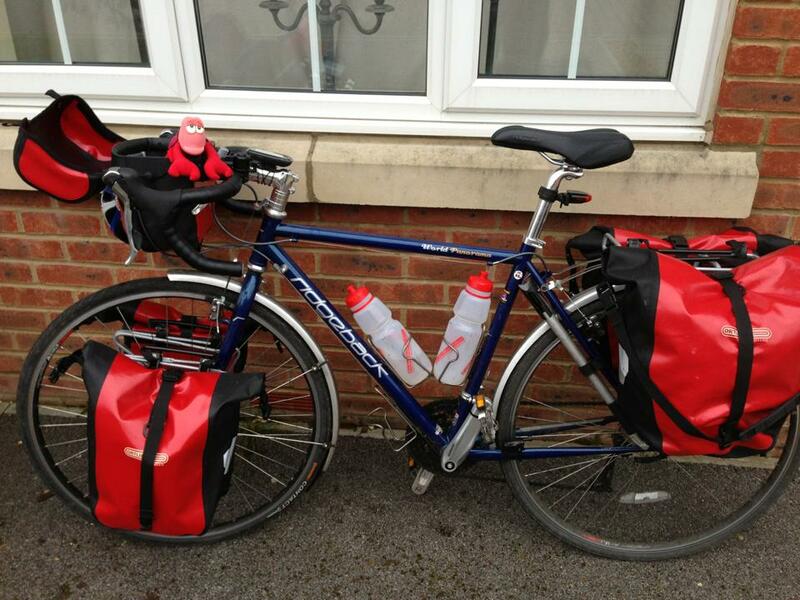 All in all a great weekends training, on a pretty much fully loaded bike (minus tent and sleeping bag). Roll on May and kicking off on my Round the Coast tour. 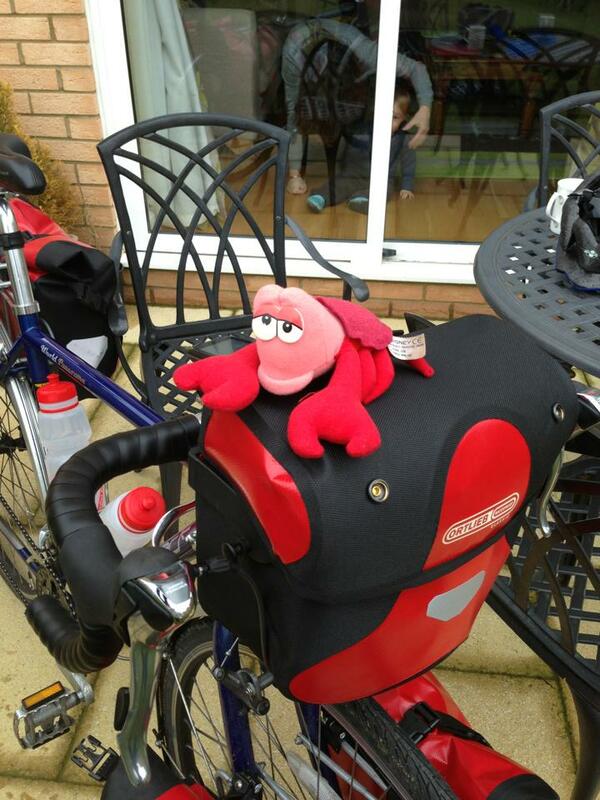 Travelling lobster – he’ll be accompanying me and trying to steal the limelight in photo’s no doubt. Back at home, bike intact, even if I’m not. This entry was posted in Training and tagged bike, cycle touring, cycling, expedition, outdoors on March 17, 2013 by SelfPropelled. Thanks Diane, looking forward to frequent pie stops! Will have to drop in on my way past you guys.